About: Dr. Hamilton teaches cultural, critical, and historical approaches to media studies. His research addresses alternative media and democratic communication. Dr. Hamilton’s research focuses on the history, theory and practice of alternative media and democratic communication. A central goal of his project is, first, to develop a historicizing critique not only of specific practices of democratic communications but also of their conceptualizations and forms. Second, but equally importantly, the project seeks to recontextualize, retheorize, and thus reconstitute the possibilities of democratic communications in the current era of digital media, globalization, and perpetual political, economic, and ecological crises. Dr. Hamilton’s books include “Democratic Communications: Formations, Projects, Possibilities” (Lexington Books, 2008; paperback edition 2009); “Alternative Journalism” (Sage, 2009), which is co-written with Chris Atton (Napier University, Edinburgh, Scotland); and “Explorations in Critical Studies of Advertising” (Routledge, 2017), co-edited with Robert Bodle, and Ezequiel Korin. He continues to publish research in leading journals such as Media, Culture, and Society, Critical Studies in Mass Communication, and Media History, and present his work at a variety of major academic conferences. Retheorizing Critical Media Literacy Jay Hamilton International Critical Media Literacy Conference, Savannah, Ga., 22-23 February 2019. Dr. Hamilton teaches cultural, critical and historical approaches to media studies. He holds an appointment to the Graduate Faculty. Dr. Hamilton has taught First-Year Seminars and in the Grady@Oxford study abroad program. A research paper written by an undergraduate student he mentored in the Center for Undergraduate Research Opportunities program won the prestigious national Alfred E. Seaman Award from the Advertising Education Foundation. Additional awards earned by former students include major international professional awards (such as an AKQA Future Lion at the Cannes Lions International Festival of Creativity) and scholarly awards (Dissertation of the Year from three major scholarly organizations.) In 2014 he was appointed a Josiah Meigs Distinguished Professor, the University’s most prestigious teaching honor to recognize superior teaching at the graduate and undergraduate levels. Hamilton is also the recipient in 2003, 2009 and 2013 of the Grady College Roland Page Outstanding Faculty Award, which honors excellence in teaching at the graduate level. 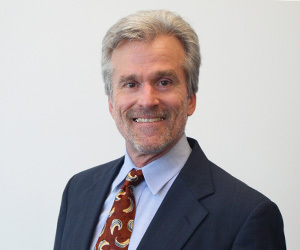 Prior to joining the Grady College, Dr. Hamilton taught at the State University of New York College at Geneseo, the College of Notre Dame of Maryland and at the University of Iowa. In addition, he has worked as a copywriter for Corporate Communications at Microsoft Corp., and as a training coordinator at the law firm of Piper & Marbury L.L.P.